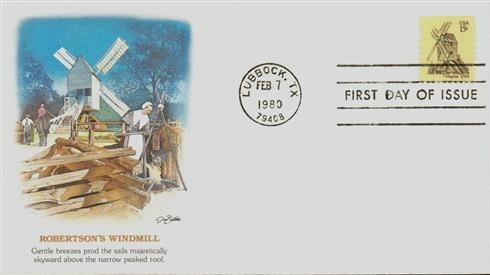 the one in Virginia is located in Williamsburg, known as the Robertson Windmill. I was sure I had a couple more s, but alas I can't find them. At least I have the complete set of stamps. 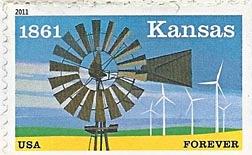 and then there is this sample from Kansas, issued in 2011 and also showing the more recent wind turbines. What a great selection today. I love the 15c series, I hadn't seen them before. ...wow, these are great, 15 cents is a deal. 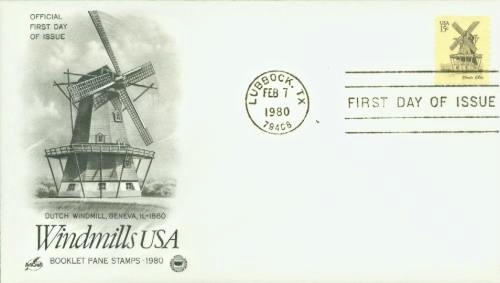 Oh dear, I forgot that windmills were an alternative, These are great - shall have to check my collection again. I really love the windmills. Great choice to feature. Beautiful stamps on another favourite theme of mine! Thank you for sharing, love to see all of these stamps! I like windmills. Especially the old wooden ones.